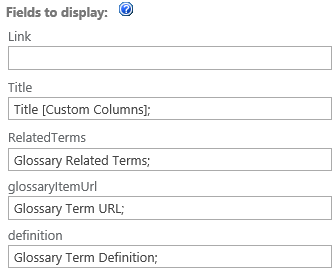 Do you wanna build a... glossary in SharePoint 2013? Here I found a nice but fiddly-tricky way to accomplish this task and I'll try to simplify it by adding some details and screenshots. Extract the Zip File, put the .js Files in Library like "SiteAssets" or create a new library called "Scripts" - it is up to you. 1. Open your Site where you will place your glossary. 2. Create an app - a Custom List. Name it Glossary. 2. 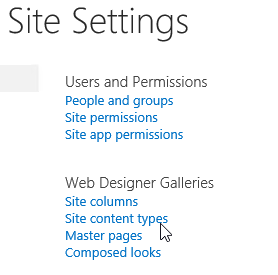 Go into Advanced Settings from List Settings and activate "manage content types". 3. 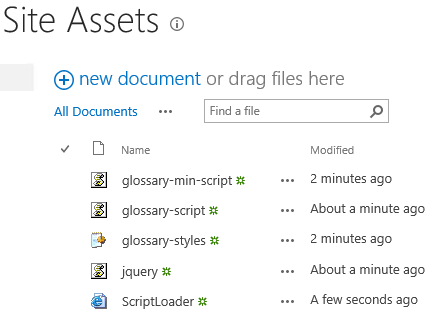 Create via site settings > site content types a new site content type called Glossary with "Item" as parent. 4. Attach the "Glossary" content type to this list. 5. Make "Glossary" content type default and hide "Item" content type. 6. 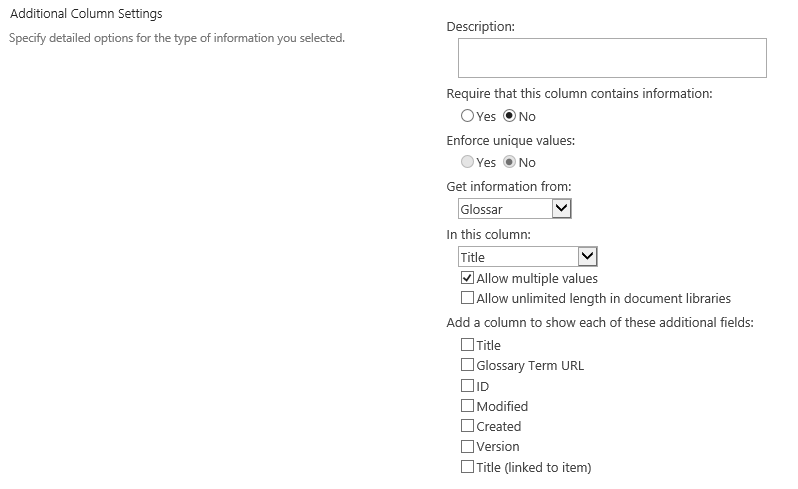 Create your site columns. 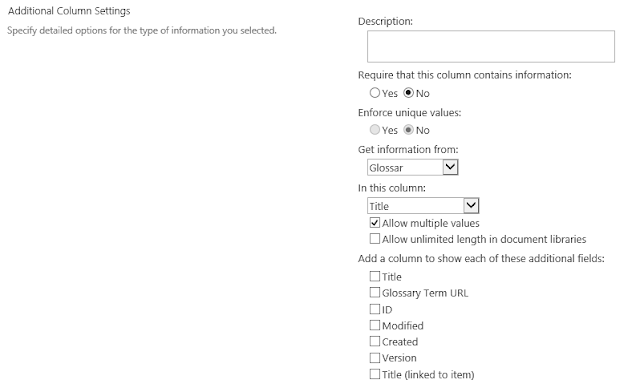 Wecreate the columns after the content type and list are created so that we can create a lookup column that reads from the same list. 9. I created a HTML File called "ScriptLoader.html" where I load all the needed libraries. This HTML lies in my SiteAssets library of the site. 10. Copy the contents of glossary-header.txt into Header.xsl in /Style Library/XSL Style Sheets/ of your Site Collection. 11. Copy the contents of glossary-itemstyle.txt into ItemStyle.xsl in /Style Library/XSL Style Sheets/ of your Site Collection. 12. Create your Glossary Page. I recommend a Web Part Page, beacause you need the ability to hide Web Parts. 14. 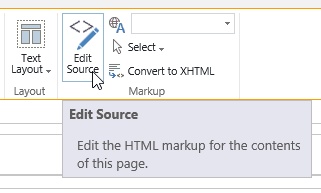 Insert another Content Editor Web Part, click in the body of the Web Part and edit its html source. Paste the content of glossary-nav.txt here. Save your Glossary Page but keep editing. 15. 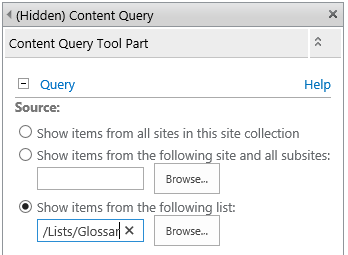 Insert a Content Query Web Part to the page, open the tool pane and let the Web Part point to the Glossary list. 16. 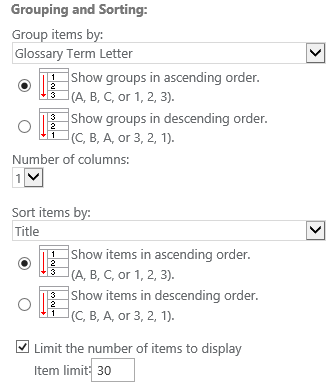 Group items by "Glossary Term Letter" ascending, Sort items by "Title" ascending. 18. Make this Web Part hidden too. How does it look like when finished? Of course you can tweak and edit your css file. I hope this works in your environment. Let me know your opinion in the comment section! 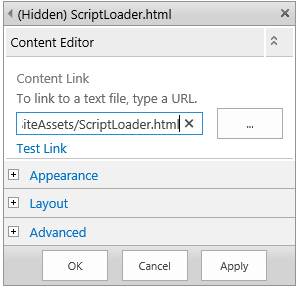 Edit 11.06.2018: I added ScriptLoader.html to the ZIP File and fixed the links. Hi Yannick. Sorry for my late answer. I don't believe it has something to do with the glossary. It works with a few script on a singe page and gets the data from a list. It shouldn't have impact on another page. Everything is working except the alphabet is not showing up as link. I see A B C but you can't click it. Have you any entries with "A" "B" or "C" ? 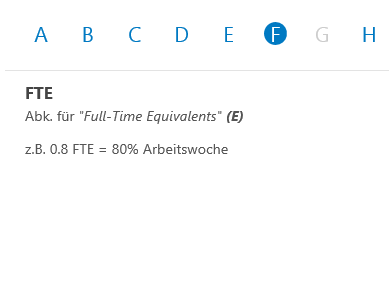 If you don't have an entry beginning with A, B or C in your list, the letters are greyed out.